Here is a picture of the group G-8 as they meet once again. In the last November, the group G8 was formed with eight losing presidential candidates, including seven of top ten vote getters, representing 49.81% of the vote. The main demand of the group was to form an independent commission of inquiry to inquire and assess the alleged frauds affecting the integrity of the October 25th election. 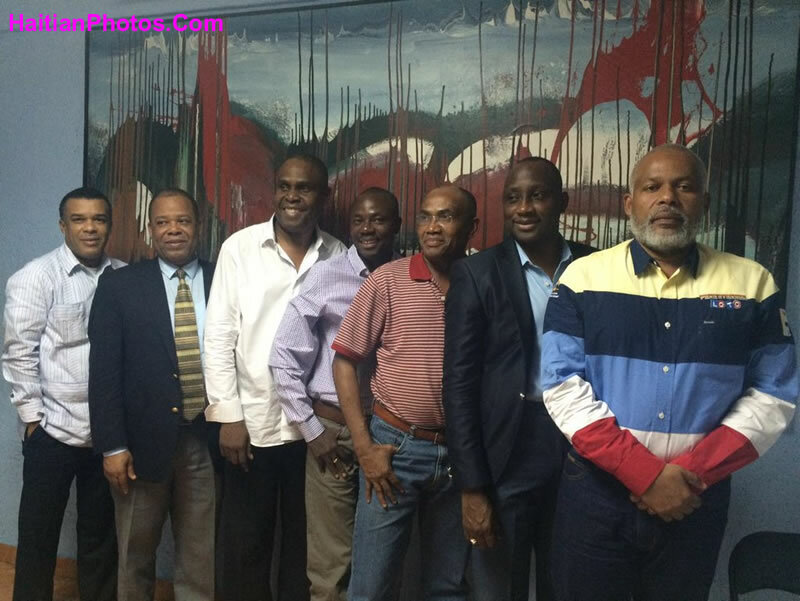 They also demanded a transitional government as they felt no fair election is possible under Martelly administration and the then CEP was subject to external influences. In last month (May 2016), nearly 7 months after its creation, it was leaked on the internet that G8 no longer exists as their missions have been accomplished. Martelly already departed, a transitional government has been formed and the said disputed election was put under the scanner of an independent verification commission. However, with the breaking news on dissolution, the G8 members were divided on the status of their pact. Eric Jean Baptiste of the G8, on a radio interview, denied such internet news of dissolution which was leaked by Mathias Pierre who is a political adviser of the presidential candidate Moïse Jean-Charles of G8. Moreover, he said, since Mathias Pierre is not a member of the group, he had no authority to speak about this. The group had met as usual on May 19th. However, on Sunday, May 22nd, Moïse Jean-Charles on his Facebook page confirmed the breakup. Sauveur Etienne, Coordinator of the "Organization of People in Struggle" (OPL) accused President Privert for the leak, because he believes Privert wants to go ahead with the election. Some of the political observers are of opinion that among the G8, there is no consensus. The group is full of disagreements and conflicting political interests.